Dr. 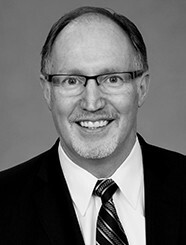 Rob McCleland is an internationally recognized expert in business strategy and organizational alignment. At Generational Equity, he serves as a sell side Mergers & Acquisitions Advisor to business owners who desire to exit their firms while achieving maximum value. Before joining Generational Equity, Dr. McCleland served as an M&A adviser to private companies. His work includes both buy side and sale side transactions with an expertise in leading turnaround companies. He served as the President/CEO of a multinational organization with hospitals, schools, and clinics on five continents. He was then recruited by John Maxwell to lead the largest leadership development organization in the world. Rob holds three degrees including a Ph.D. in Organizational Leadership and a Master’s Degree with an emphasis in personal leadership. He served as Dean of Nyack University on Capitol Hill in Washington DC, and has been rated the most popular professor several times, including at Regent University’s top-tier B-School. He has spoken at major global conferences and universities including as plenary speaker for the World Health Organization. Now that he is semi-retired, Rob is returning to his passion for business by helping fellow business owners understand how to proactively plan and execute the M & A process successfully. His goal is to see business owners receive optimal value at their time of exit. When he is not working, Rob enjoys his family (especially the grandkids), speaking at marketplace events and serving as a trusted advisor on corporate boards.